Music can be therapeutic for anyone. This is especially true for an elderly person. 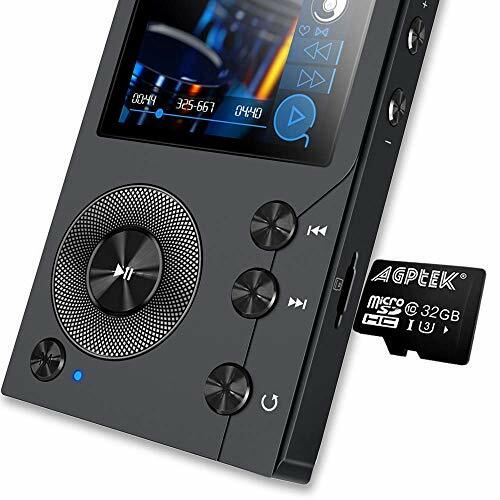 If you are looking for a good music player that can offer a lot to a senior, the AGPTEK H3 HiFi Bluetooth MP3 might be the best bet. One of the main things that you want to find in an MP3 player for a senior would be a large screen. 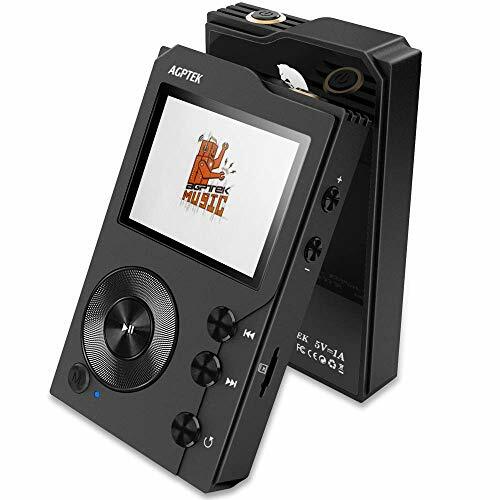 This particular MP3 player comes with a plentiful 2-inch high-definition screen which makes it easy to read the artist and song title. The equipment itself is also near perfect. Not only does it have a durable build quality which makes it strong enough to withstand occasional drops from a loss of dexterity. It also features a distinctive scroll wheel for controls which makes it extremely tactile and easy to control even for those that might have trouble seeing clearly. The actual system is extremely easy to use with physical buttons for everything that you could possibly want. You can pause, play, go back, go forward, or even repeat songs with a single physical button press. Therefore, you don’t have to worry about touchscreen sensitivity issues or having an awkward user-interface to interfere with the user. But, the buttons are the same color as the background which is a bit harder to see. 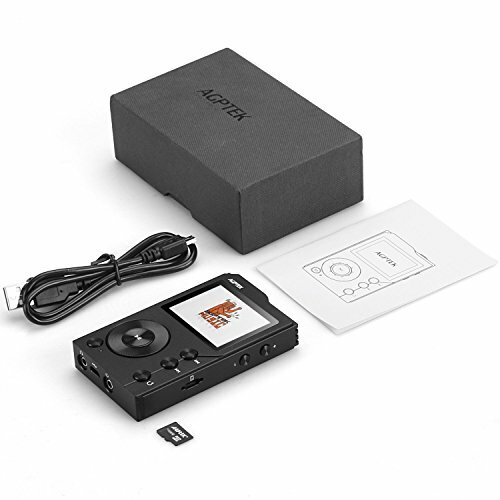 All in all, this is a very value oriented MP3 player available at an affordable price point with exceptional sound quality due to the inclusion of a Texas Instruments DAC. It makes for an even better option for an elderly person given its tactile feedback and large screen display. 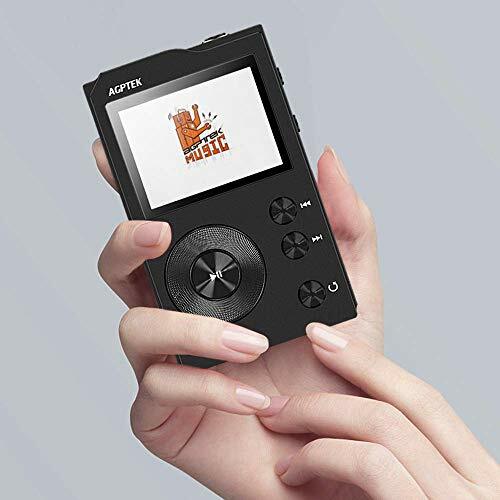 This MP3 player is a great choice for seniors because it is larger than some others and easy to hold onto. The buttons are raised and give tactile feedback but are the same color as the background. The screen is 2" wide and HD for clarity and easy viewing. 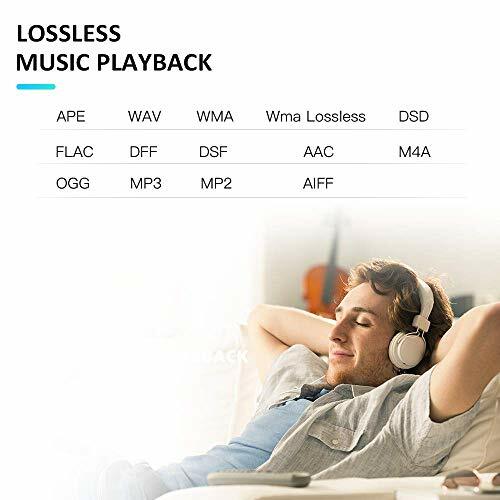 Delivers in-depth detailed high resolution audio: Equipped with renowned Texas Instruments PCM5102 DAC for distortion-free hi-fi music; supports all popular audio formats, including FLAC, WAV, WMA, ALAC, Ogg Vorbis, AAC, AIFF, APE, DFF,Native DSD64(2.8MHz) DSD 128(5.6 MHz), etc. High-quality Hardware Equipment: 2 inch high definition display screen offers clear and vivid image; CNC aluminum alloy body provides a smooth and comfortable hand feel; Distinctive scroll control wheel enables fluent and agile operation. Bi-directional Bluetooth 4.0 transmission: Either work as a signal transmitter to play music wirelessly (via Bluetooth headphone, speaker, etc) or as an amp to listen music wirelessly(from smart phone, etc). Features good fault tolerance and fast transferring speed without delay. 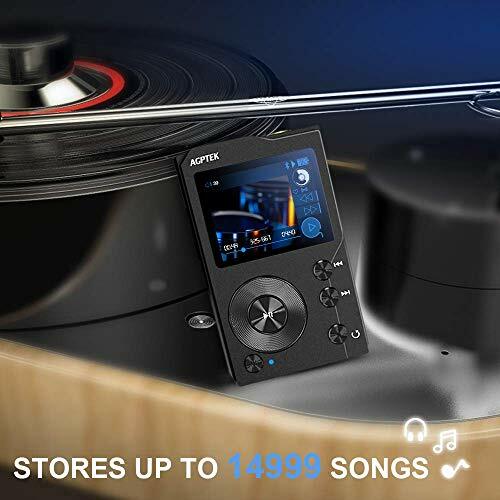 Stores up to 14999 songs: Micro SD card slot supports memory card up to 256GB and the system can handle up to 14999 songs. Plus provided OTG port can achieve larger storage expansion via USB-OTG cable(not included). With the lineout port, able to connect with car stereo or home audio via Auxiliary Audio cable(not included). 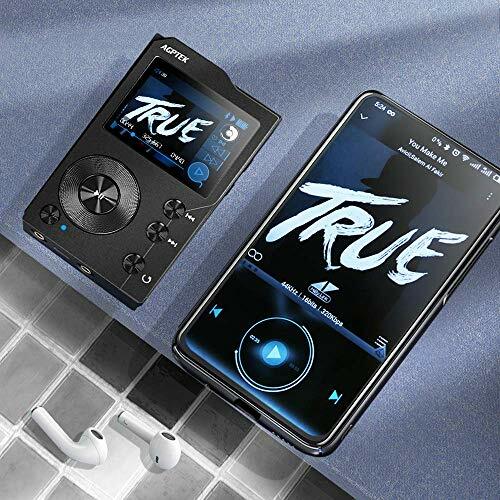 Long playback time: In medium volume, supports 22-24h music playback time via headphones and 8-10h music playback time via Bluetooth after fully charged for 3.5-4h. Please note the player do not have internal storage.